I’ve been reading a little on flash photography in the last weeks. I already wrote about the great book by Joe McNally, today I would like to present another pearl of “flash education”. 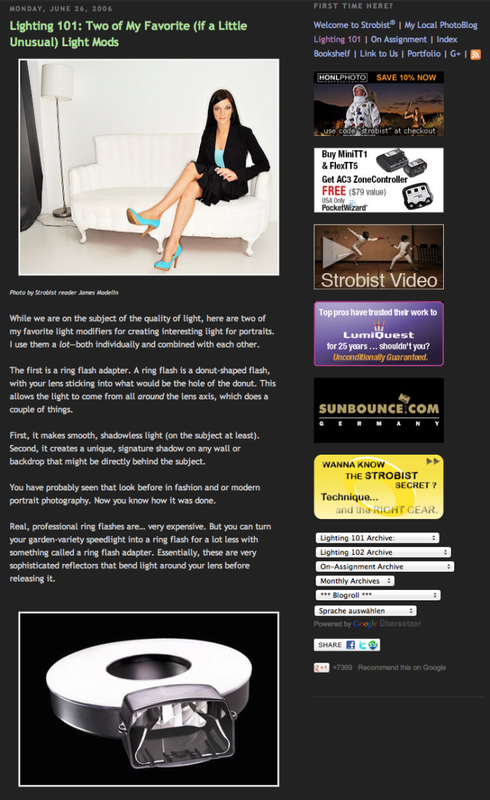 US-based photographer David Hobby runs an excellent blog called Strobist. 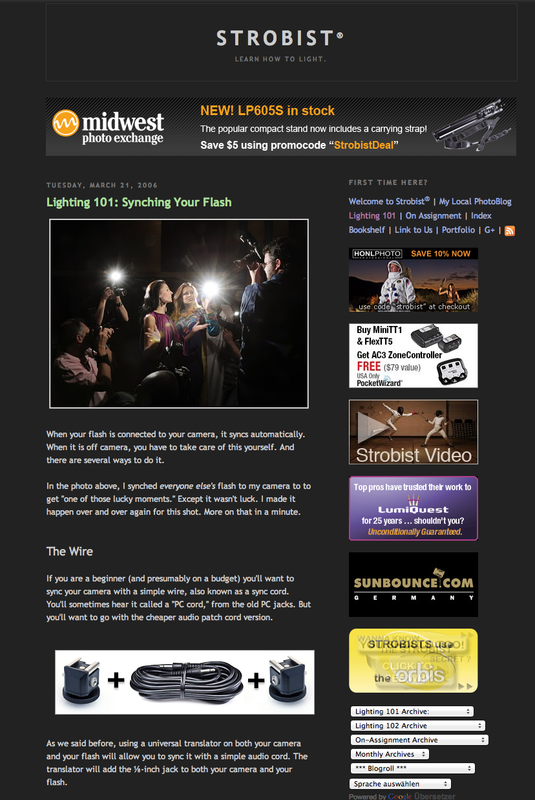 The blog’s tagline is “Learn how to light” and that is what the strobist blog is all about. David dives into the wonders of flash photography and shares his experiences from assignments, reviews gear or answers questions from readers. 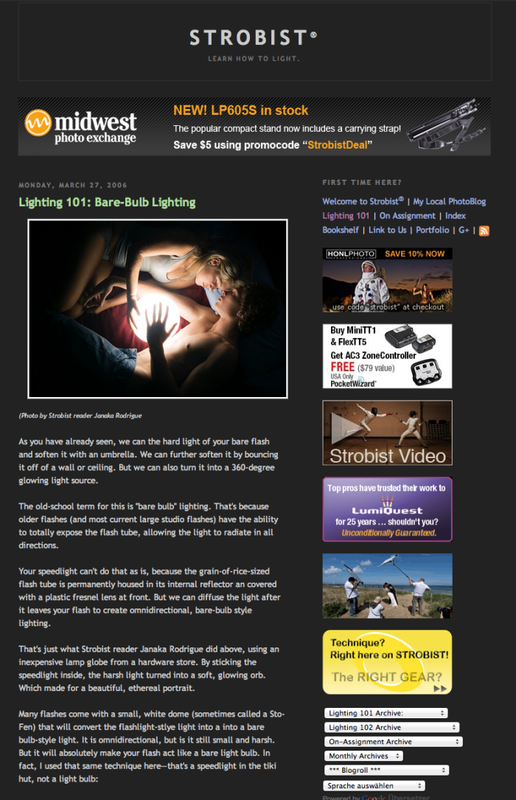 As the name suggests the blog is centered on strobist setups, meaning using off-camera flashes. 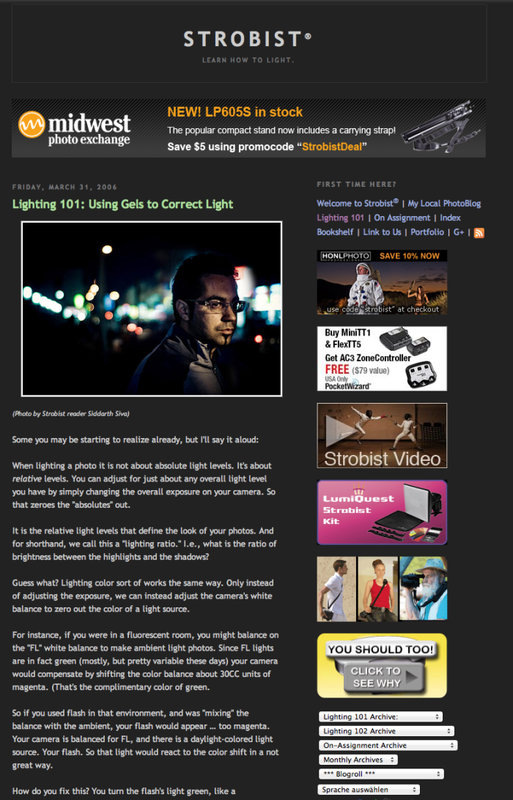 While the blog itself is highly recommended there is a learning section on the homepage called Lighting 101. Below you can see some screenshots. Lighting 101 is a compact course in flash photography, which takes you from the very basics to very advanced flash concepts. You learn how to trigger your flash, what equipment you need to get started, what different light modifiers do, how to mix ambient and flash light, what gels do on your flash…. Go there. Read it. Even if you are an experienced photographer it does not hurt to ingest the basics again. There is always something one can learn, and David has a lot to teach.